AFL season kicks off TONIGHT! Dust off your coloured scarves, get your choccies ready and find a nice comfy spot on the couch, Easter long weekend is here and that can only mean one thing – Footy is back, starting TONIGHT. Tonight’s season-opener sees the traditional grudge match between Richmond Tigers and Carlton Blues play out at the Melbourne Cricket Ground; the undisputed home of football. 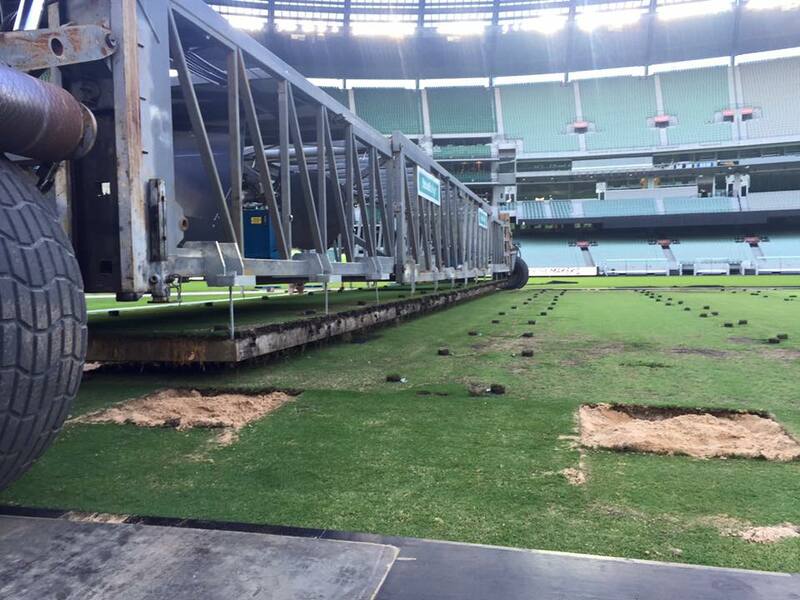 The ‘G is ready to rock and roll for a big season after cricket took their last wicket on its pitch in late February. The team on ground have since been preparing the hallowed turf to have it in tip top condition for this weekend’s onslaught. Richmond are the roaring favourites to win on their home turf, with their odds sitting at $1.24 to the Blues’ $4.25 on Sportsbet. Good Friday is game free as is tradition, even after continued debate on whether there should be a match on the religious holiday. So Saturday will have footy fanatics chomping at the bit, ready for four matches in one day! If you can’t get to a game we hope you’ve got a big telly for all that action. The day will kick off (pun intended) with Melbourne playing Greater Western Sydney again at the MCG at 1:45pm, then flying over to Mectricon Stadium to see Gold Coast take on Essendon. Saturday night sees Sydney Swans swoop in on Collingwood on their home ground at the SCG, and finishing up in Melbourne again at Etihad Stadium, North Melbourne tackle Adelaide. Easter Sunday hops back to Etihad Stadium, where Western Bulldogs will take on Fremantle at 1:10pm. Port Adelaide go toe to toe with St Kilda at Adelaide Oval, and West Coast Eagles will take on Brisbane Lions at Domain Stadium in the twilight match. If you still have any chocolate left on Easter Monday, it will come to good use while watching the absolute nail biter of Geelong vs Hawthorn, who are playing at the MCG – where Round 1 will begin and end. 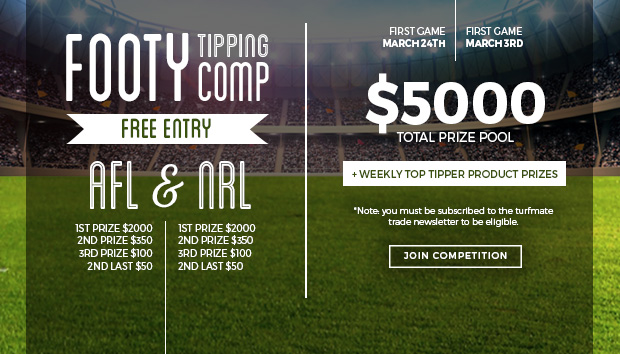 If you haven’t already, make sure you sign up to the 2016 turfmate footy tipping for your chance to win a piece of the $5000 prize pool! Plus weekly prizes for top tippers.